Against a lengthy list of incredible achievements, the most astounding characteristic of Shenmue is how utterly unknown it is. More gamers are knowledgeable about Goat Simulator than they are about the game that carved the foundation for such cinematic masterpieces as Mass Effect, Heavy Rain, and The Last of Us. The influence of Yu Suzuki's magnum opus is even evident in such titans like Grand Theft Auto and Resident Evil, yet its recognition is less than that of QWOP's―a game that, while undeniably masterful, has had little effect on the industry as a whole. Do you think comparing a video game to one of Earth's greatest man-made achievements is somewhat hyperbolic? Then you've either never played Shenmue, or you played it years after its release, jaded by dozens of phenomenal games that look just like it, ones that megapublishers can now seem to churn out every four months or so. — Yu Suzuki in 1998, teasing about the project he was working on in Sega's basement. For nine years, Shenmue held the Guinness World Record for "Highest Production Value in a Video Game", until it was finally dethroned by Grand Theft Auto IV in 2008. Two generations of consoles arrived in those nine years, along with such games as Metal Gear Solid 2–3, Halo 1–3, Call of Duty 1–4, and Final Fantasy VIII–XII. And yet none of them, for all their resources and ambitions, could hurdle the bar set by Shenmue nearly a decade earlier. Most big-budget games have a development period of 1–3 years (Call of Duty, Halo, Assassin's Creed, Uncharted), and for modern-day, content-rich RPGs (Final Fantasy, Fallout, The Last of Us, Red Dead Redemption) the development period is typically 4–5 years. Shenmue took six years of constant development to create, starting way, way back in 1993―an unthinkable scope at the time. It took so long to make that the system they were designing it for (the Sega Saturn) died halfway through, and the team was forced to start from scratch with Sega's new system, the Dreamcast. Last year, the world's biggest-selling magazine on film and cinematic entertainment, Empire, ranked the Top 100 Video Games of All Time. The top five are titles so legendary that even the most casual of gamers will recognize them: The Last of Us, The Legend of Zelda: The Ocarina of Time, World of Warcraft, Final Fantasy VII, and Metal Gear Solid, respectively. Crouched in the shadows of these giants on pillar #7—just behind GoldenEye:007 and just above Red Dead Redemption, Grand Theft Auto V, Halo:Combat Evolved, and Skyrim—is our meek, neglected orphan, Shenmue. So, let's take a closer look at what we now know. Lots of ambition, lots of time...and lots of money. It might be difficult to tell this now, but in the 90s, Sega was a god in the world of gaming. In 1993, when Sega controlled a whopping 65% of the console market, they seemed invincible...and they must have felt that way too, because they dedicated an unprecedented 70 million dollars to a top-secret development called Project Berkeley. Their goal? To make a supergame unlike any the world had ever seen. To captain this titanic endeavor, Sega chose their in-house wonderboy, Yu Suzuki. What Miyamoto is to Nintendo, or Hideo Kojima is to Konami, Yu Suzuki was to Sega. He was nothing less than a prodigy in the world of arcade games, creating such revolutionary titles as Hang-On, Out-Run, and After Burner. One of his games, Virtua Fighter, was the first video game to go on permanent display in the Smithsonian's National Museum of American History in Washington D.C.. (His work would make another appearance at the museum decades later, when Shenmue was featured in the Art of Video Games exposition in 2013). Not only did Sega infuse its ambitious enterprise with a genius and enough money to fund a small army, they gave their pet project six years to come to fruition. When most games spend as much time in development as Shenmue, its usually because they are trapped in the dreaded Development Hell, a bureaucratic limbo where a game is stalled at a light that can't choose between red, yellow, or green. Yet this was not the case with Project Berkeley. Every workday of those six years was utilized to its fullest. Suzuki traveled the world to do research at ancient temples and foreign cities, while back in Japan, scores of master craftsmen—everyone from martial artists, to sculptors, to movie directors—toiled away under meticulous orders. Sega even pieced together their own full-sized orchestra to produce a complete cinematic score for the project. The music was released in a 2-disc album all to its own, and will be released again on vinyl in September 2015. While you continue to read this article, listen to this sample from the stunning soundtrack and try not to get goosebumps. Shenmue's protagonist. After witnessing the murder of his father by a villainy-looking fellow, he sets out on a relentless campaign for revenge. A real-life city in Japan, where the majority of Ryo's investigation takes place. As you can see, its about as charming as a tire swing in a junkyard. If you are willing to explore, you'll come to find that, behind all the chainlink and concrete, that every alley and drab building beats with a warm heart. The ambiance in the game is very flexible, and any environment can cover a wide-array of moods depending on what point in the story the player is at. Even though you are monitoring Ryo's every waking second, you never see him eat or drink or use the toilet. But that doesn't mean he can't if you ask him to. From spending your limited money on pointless things like potato chips and light bulbs, to dialing random numbers on the telephone to see if anybody picks up, there is no rock you can't overturn, no matter how pointless. Many of the characters you meet have a pre-existing relationship with Ryo, but the others, if you pester them enough, may come to know you over time. Shenmue takes place in 1986, during a time when culture was scrambling to find a new look, in a part of Japan that was struggling to find its own place between Eastern and Western cultures. Even though the setting of the story seems conflicted, the result is an environment that is both engrossing and unique. Ryo's journey is all about discovery. From the moment the player first picks up the controller, she is exploring a Russian doll from the inside out. The first minutes are used to investigate every crack and crevice of Ryo's cramped bedroom, which opens into a large house that in turn opens up to a sanctuary, then a street, then a neighborhood, then a town, then a city, then Hong Kong. By the time of the story's abrupt end, Ryo is exploring the vastness of China's wild. Much of the game is about unraveling mysteries. No question is more pressing to the player than "WHO IS THIS FRICKIN GIRL?" The entire intro is devoted to her, her face is plastered on everything from candy bars to cassette tapes, and she frequents Ryo's dreams. Yet the player never meets her until the final moments of the second game, which never even made to American Dreamcast owners. The mysteries propelling Shenmue's plot were so captivating, that fans refused to give up on answers. People went so far as to decrypt the files hiding on the Dreamcast disks to discover deleted lines of dialogue and programmer's notes hinting at what they were preparing for the sequels. 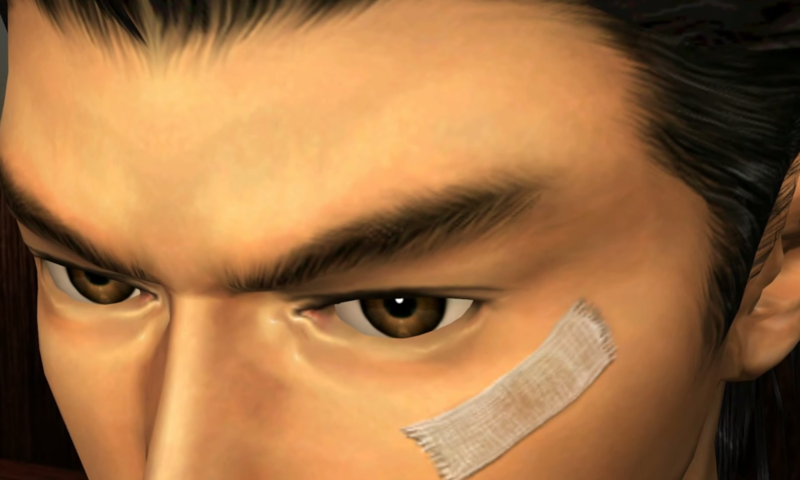 Shenmue's story was completely written prior to production, consisting of sixteen chapters total—yet only five of them saw the light of day. In 2001, Sega pulled the plug on both the Dreamcast and Shenmue, each having the short lifespan of only about a year and a half. This was devastating to Ryo's small but passionate fanbase, especially considering the bizarre final moments of the last game that raised so many questions that most assumed would never be answered. Needless to say, for those who had the privilege of experiencing the game on its release date, Shenmue felt like something straight out of Area 51, handcrafted by aliens, or maybe gifted to humanity by visiting time travelers. As gamers have always been prone to do, we were watching the industry grow, eagerly salivating at every small step forward, so when the giant catapult that was Shenmue came out, it was dizzying. It left many in awe, some simply confused, and others disgusted. It was so groundbreaking that nobody could even guess what genre to categorize it under. Today we would call it an RPG, but at the time that term meant "turn-based dungeon crawler". Yu Suzuki had to coin his own category—he called it a "FREE" game (Full Reactive Eyes Entertainment)—since none existed. The name didn't stick, however, and RPGs became J(apanese)RPGs so that the older term could be repurposed for the growing genre of Shenmue-esque games that would follow a few years down the road. And yet, despite the breathtaking visuals, the graphics were not what Yu Suzuki had hoped to impress the world with. In 2010, he stated his view that the biggest problem in the video game industry was that it "focuses too much on the extravagance of the graphics." So, if it wasn't Shenmue's "extravagant graphics", what was Suzuki's contribution to the game? Oh boy, where do we begin? This was the type of grandness that Suzuki was aiming for—realism in a deeper sense that just visuals. Taking a look back at his previous work, this approach is apparent. Even though Hang-On and After Burner had worse graphics than the clipart in Microsoft Word, players couldn't shake the sensation that what they were experiencing was somehow real. With arcade cabinets bigger than some of today's cars—life-sized motorcycles instead of joysticks, hydraulic gyroscopes instead of chairs—his games were always an experiment in combining a person's real-world sensations with digital stimulation. Suzuki has stated that one of his proudest moments was when he overheard someone playing Virtua Fighter flinch and say, "Ow!" So what sensation, exactly, was he trying to convey with a game about a young man investigating the murder of his father, played on a home console with a controller that couldn't do much more than rumble and beep? To cram a big nut into a tiny shell: he wanted players to believe that the game was somehow alive. This way of thinking lead to such innovations as an in-depth weather system that randomly cycled through different forecasts (until a player beat the game, and then they were given the option to play again with the exact weather that occurred in the real-world counterpart on whatever date the game was taking place). If it rained, NPCs would bring out umbrellas; if it snowed, piles of slush would mound up it in the gutters. Throughout the course of a Shenmue day, the cities would alter drastically. If you looked out the window of any building you were in, you could watch the sky outside change colors as day gave way to night. People's shadows would lengthen and rotate based on how late it was--something that game engines like Quake will calculate automatically now, but back then every aspect had to be meticulously programmed by hand, back when shadows were no more than a semi-transparent disk underneath a sprite's feet. Each business adhered to seperate schedules based around the day of the week, the hour, and even the holidays. This is all commonplace now, but don't forget—and I hate to beat a dead horse, but this is that important—this was in 1999. If you were born on the same day Shenmue was released, you would be preparing for college about now. This was years before games like Animal Crossing, WoW, Elder Scrolls, Fable, or GTA would capitalize on these ideas and make them popular. Grand Theft Auto III is a promising candidate for most-revolutionary video game ever. It was so successful that an entire genre was created just for the copycats of GTA's new go-crazy-do-whatever-you-want-in-a-city format. But still, the genre that GTA3 itself falls into—an "Open City" sandbox game—was not virgin territory. Guess who is considered the first pioneer of Open City games? Nope, not Frogger. That's right: Shenmue. While it may not give you the freedom to kill pedestrians or hire hookers, Shenmue still opens up its locations of Yokosuka and Hong Kong in intimate ways that Liberty City, Vice City, and San Andreas have yet to do. Where GTA's focus is on the forest, Shenmue's is on the trees. Every building has rooms, and every room has a knockable door, and behind every door there is a potential tenant. Any object on any surface can be picked up and examined. Anything with a face can be chatted up. So much focus was placed on encouraging the player to closely examine and explore the world around them, that on the Dreamcast's controller, the secondary D-Pad was designated for player movement so that the more-versatile analog stick could be reserved for altering the character's perspective. 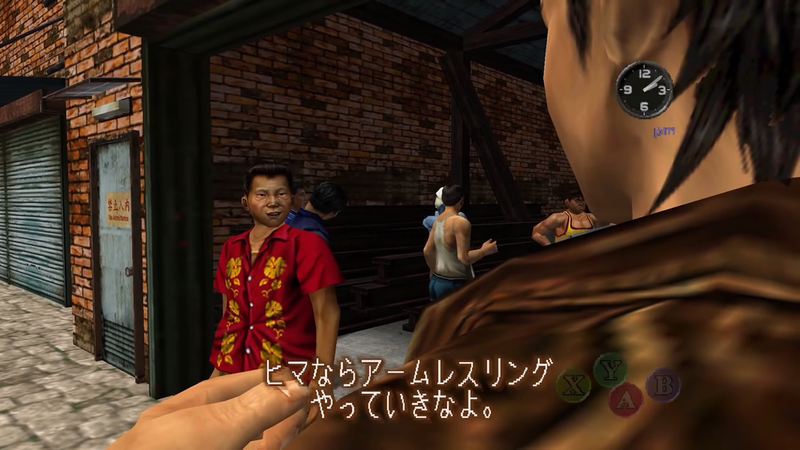 Even the camera was deliberately slow and gradual, moving in close to the character's head to give the player the sensation of being a gawking tourist in a big city. Still, as impressive as the playable environment is, the most profound aspect of the game are the inhabitants themselves. Not only is the world populated by over 300 NPCs, each one was given as much love and detail as any of the main characters. In Prima's Official Strategy Guide, pages upon pages are devoted to the NPCs. Each one has a name, biography, age, address, height, and even a designated blood type, including the stray animals scattered about the towns. If a young gamer were to pick up and play Shenmue today, she would most likely ignore 90% of the sprites, assuming that they were randomly generated from a batch and would likely cease to exist once off screen, as modern games have taught her to do. She would never know that if she were to randomly pick any of them—maybe the old woman sweeping in front of her hair salon, or the business man waiting by the bus stop—and follow them around, she would learn that person's daily schedule—where they lived, what time they woke up, where they worked (if they worked), what ramen joint they would eat at for lunch, who they would socialize with on the weekends, what bar they would frequent on Friday nights. Sadly, she would never know the staggering amount of life teeming inside this game. It's hard to blame this perspective entirely on the times. Even then, if a player attempted Shenmue without knowing what it was, they would most likely end up befuddled. Where am I supposed to go? Where's my score? How can I tell if I'm good at this game or not? Up until then, sandbox video games had yet to be truly realized. 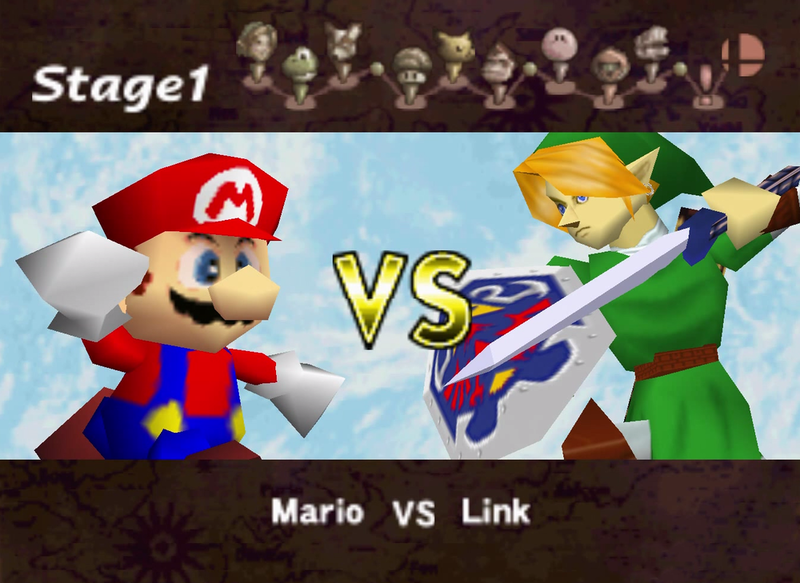 Nintendo was starting to play with the idea in titles like Mario 64 and The Legend of Zelda, but even so, these games were examples of nonlinear gameplay as oppose to a true sandbox. They told the player, "Here's your goal. It's up to you to figure out how to get there," but Shenmue took the concept one step further and said: "Its up to you to choose your goal." Without a hand to guide them—with no strict missions and virtually no threat of game over—most first-time players didn't know how to even begin, quickly getting frustrated by the lack of direction, throwing down the controller while her friend pleads confounding things like, "But you haven't even opened up any drawers yet!" or "Did you try running through the pigeons?" or "Look! You can feed a cat! Here's a million yen; go down to the 7-11 and buy a can of tuna fish. You won't regret it." Alas, despite the desperate cries for attention coming from Shenmue's fanbase, the general gaming public ignored the title, their eyes focused on the exciting new console breasting the horizon—the PlayStation 2. Shenmue's poor timing, plus a painful localization and the fact that it was released on a system that was soon to be deceased, led to a heartbreaking and abrupt end to this magnificent game, a passionate fling that many gamers to this day have yet to get over. That's why for every E3 since the dawn of the show, Shenmue rumors have always floated to the top of the speculation barrel, even after all these years. The game was simply too massive to die overnight, and its spirit has haunted the industry ever since its untimely death in 2001.